All was great, the staff and the location were the highlights. When would you like to stay at YHA Ironbridge Coalport? YHA Ironbridge Coalport is positioned within the Ironbridge Gorge World Heritage Site, home to 10 family-friendly museums, littered with industrial archaeology and brimming with places to grab a bite to eat or a drink. The Youth Hostel is situated on the banks of the river Severn, with canal paths and old railway line walking routes to the iconic Iron Bridge. 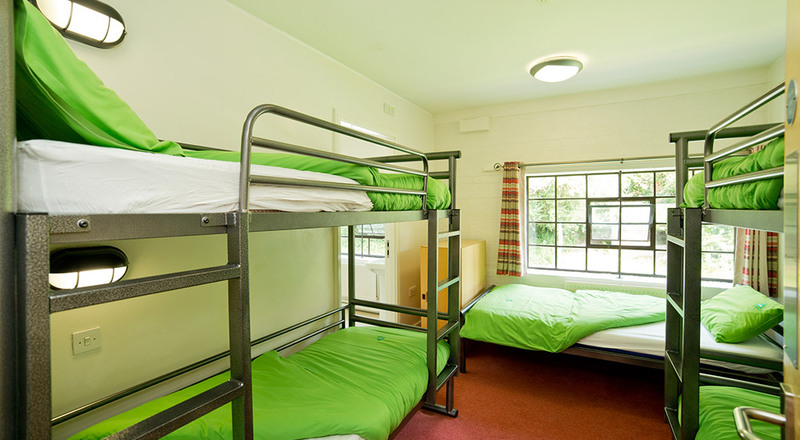 This hostel is ideal for family holidays, and for those keen to learn more about industry. 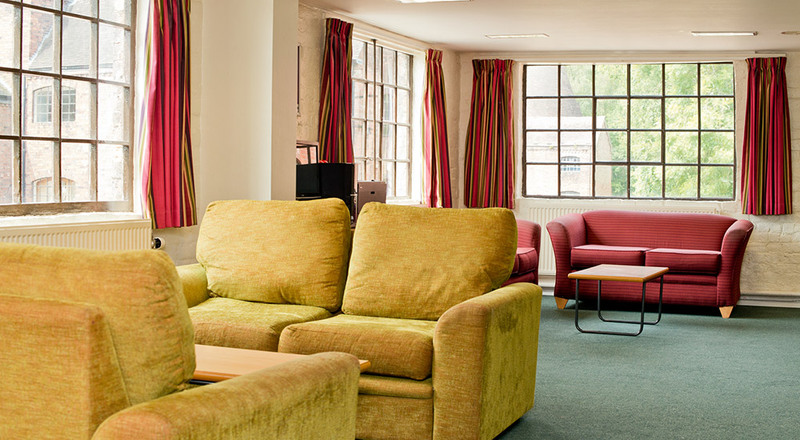 Refurbished in 2009, YHA Ironbridge Coalport boasts conference facilities and our fantastic on-site café. YHA Ironbridge Coalport has two floors of accommodation. The hostel is accessed through our charming cafe and includes stunning original tiled flooring, there are also classroom facilities available for meetings. First floor: 25 beds over eight rooms, a selection of 1-5 bed rooms, one en-suite, one with shower. Second floor: 57 beds over 13 rooms, a selection of 2–7 bed rooms, five with en-suite, two with shower rooms. Our other hostel in the Ironbridge Gorge, YHA Ironbridge Coalbrookdale, is available for group bookings on Exclusive Hire. Our Riverside Restaurant & Bar provides a contemporary, relaxed and cosy atmosphere in the heart of the industrial museums and away from the bustle of this vibrant historic town. Offering a broad selection of delicious food, alongside a range of freshly made hot drinks and a well-stocked bar. Open daily throughout the summer to guests and passers-by, let us welcome you to rest your legs and indulge your senses after the day’s adventure. Choose from our tasty daily specials or delve into our café-bar style menu experience, think scrumptious bar snacks, light bites, grilled paninis and loaded stone-baked pizzas. Don’t forget, kids under 10 eat free – get one kid’s meal free with every adult’s meal. Follow cycle route 45, 55 and 81 from the doorstep, do your own thing or take an Olympic journey and cycle to the home of Wenlock Olympian Games and have a well earned tea and cake. Take an historic ride on the Silkin Way from Coalport or follow the cycle routes in to Ironbridge following the banks of the River Severn. A circular walk from the hostel visits the Quaker burial grounds. We've done it in a canoe, kayak and even in a white water raft and we love it. 10 miles For an unforgettable look into the past, visit Wroxeter for one of the best preserved examples of a British Roman town. Take a ride on this stunning steam railway through 16 miles of delightful Worcestershire and Shropshire countryside. Check out the route on the Severn Valley Railway website. Towels and toiletries: Towels and toiletries are not provided but are available to hire or purchase from reception. Pets: Pets are not permitted at YHA Ironbridge Coalport. Assistance dogs are welcome. Parking: YHA Ironbridge Coalport's parking is shared with the China Museum next door and costs £3 for every 24 hours. Occupying the oldest surviving china works building, YHA Ironbridge Coalport is perfect for big get-togethers. You can hire the whole hostel over on our Exclusive Hire website. At YHA Ironbridge Coalport we have two meeting rooms available for hire. Capacity: Up to 60 delegates in one room and up to 15 delegates in the other, depending on seating configuration. Parking: There is ample parking at YHA Ironbridge Coalport which is free from 5pm - 10am but there is a nominal daily charge as the car park is shared with the museum. Accessibility: Room 1 is located on the ground floor. The closest accessible WC is located in the dining room also on the ground floor. Room 2 is not accessible as it is located on the 1st floor and has steep stairs. For more information please see our access statement. Air conditioning: No air conditioning, there is central heating. At the end of 18th century, Coalport was a small settlement on the banks of the river Severn, an area noted for producing ceramics since Roman times. It was called Coalport after the coal that was transferred from canal to river vessels at this junction. The most important industry to be attracted to the new town was the china manufacturing enterprise of John Rose who moved into a new factory at Coalport in 1779. This factory was converted to the current Youth Hostel in 1997 and some of the original features, including the decorative flooring on the first floor, remain. Penny Ellis - "I've been with YHA since 2001, worked at several different hostels, working my way up from team member, through the catering operation, to deputy manager and finally becoming manager in 2011. I enjoy exploring the local area, on foot or by bike; although the walks I like are more the exploring with tea shop stops and pub lunches than the 15 mile hikes! I have two toddlers so am well clued up on where’s good for young children. I've lived in the area since 2004 and am still discovering new things!" Manager recommends: This Gorge offers so much to do for a sightseeing holiday or school trip, but if you're just on a weekend break you must take a walk from Coalbrookdale and step back in time at Blist Hill Victorian Town. On longer walking holidays or activity breaks, a walk into Ironbridge for a well earned drink on the banks of the River Severn finishes off a perfect day.